The Madrigals earned top marks with a gold rating in Boston, sending them to competition at Carnegie Hall. 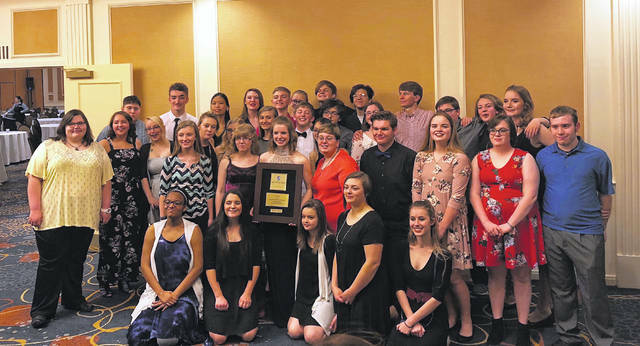 The Gallia Academy Jazz Band brought home a bronze rating from Boston, placing second. The Gallia Academy Symphonic Band earned a silver rating in competition over the weekend. BOSTON, Mass. 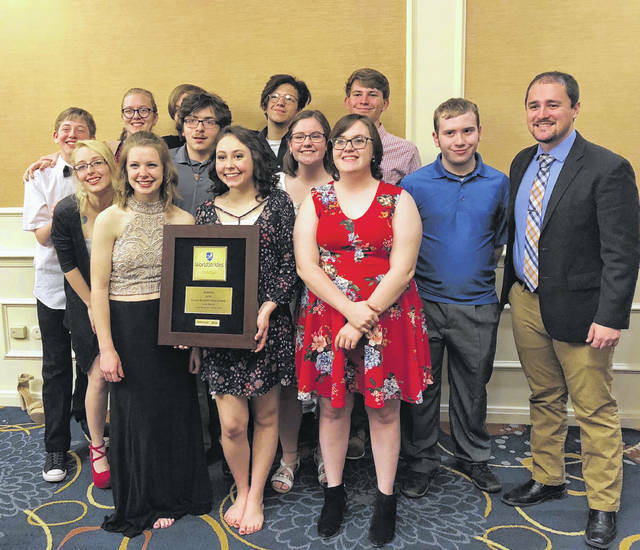 — Gallia Academy High School music students traveled east over the weekend to compete against other schools in Boston, Mass. for the World Strides On-Stage Heritage Festival. Three groups performed; the Madrigals, jazz band, and the symphonic band totaling 64 students. Each group brought home top finishes. Symphonic Band received a Silver rating earning 2nd place in class 1A, the Jazz Ensemble received a Bronze rating earning 2nd place in Class 1A, and the Madrigals received a Gold rating and earned 1st place in Class 1A. The Madrigals, having earned a gold rating earned the chance to perform next year at Carnegie Hall in New York City. The accolades don’t stop with the group earnings either. Two Gallia Academy students earned special recognition for their performances. Elizabeth Hoover received one of seven Maestro awards and Morgan Loveday was award the sole Ovation award recipient. Hoover’s award came for her vocal solo with the Madrigals. Each group performed three pieces, as is typical for music competitions. One is a required selection, another must fit a particular style, and the third is free for each group to choose. For her selection as a Maestro Award, Hoover can compete next year in Sydney or New York City as part of the Honors Performance Series. “I have been invited to go to the Sydney Opera House or Carnegie Hall in New York to compete next year,” said Hoover. Loveday received her award by nomination of Phillips and John Barrett, both music directors at GAHS. Loveday performed in all three of GAHS’ groups, playing alto saxophone and singing the alto part with the madrigals. 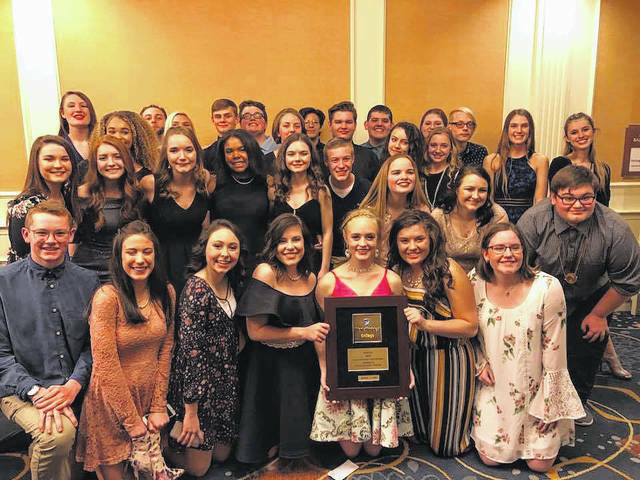 According to director Barrett, the award is a true testament to the students passion for music and dedication to the betterment of our ensembles, school and community at large.